The eclectic, the unusual and the simply fantastic. That’s Glastonbury town. However, mention, ‘Glastonbury’ to many people who haven’t visited Somerset and they will probably only associate the area with the world famous music festival. 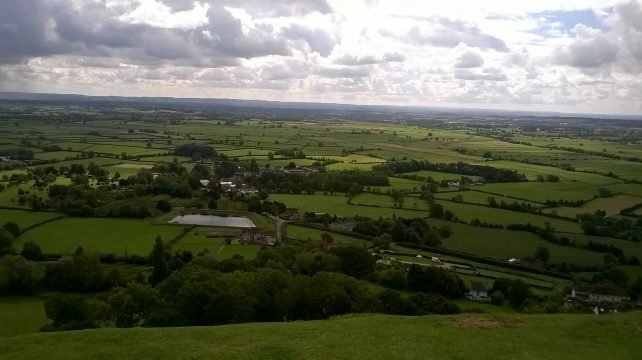 (The Glastonbury Festival actually takes place on Worthy Farm in the village of Pilton but that’s another story…) It’s a shame that many miss out on a visit to Glastonbury town. It has got a lot going for it all year round. 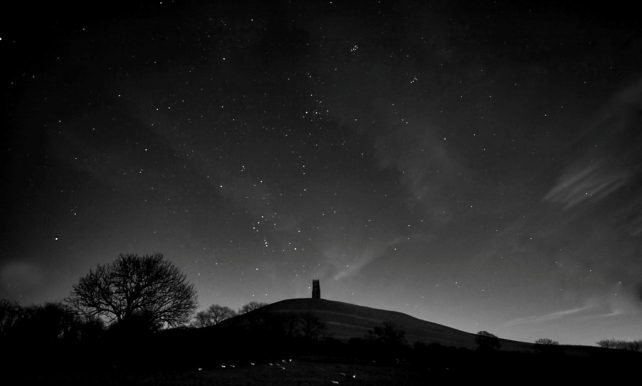 Is Glastonbury the burial place of King Arthur? Was the first church built here? Did Joseph of Arimathea really travel to Glastonbury bearing the Grail? (How did Indiana Jones get it so wrong?!) But more of that a little later. While Glastonbury may be swathed in mystic, it is certainly of great historical importance. 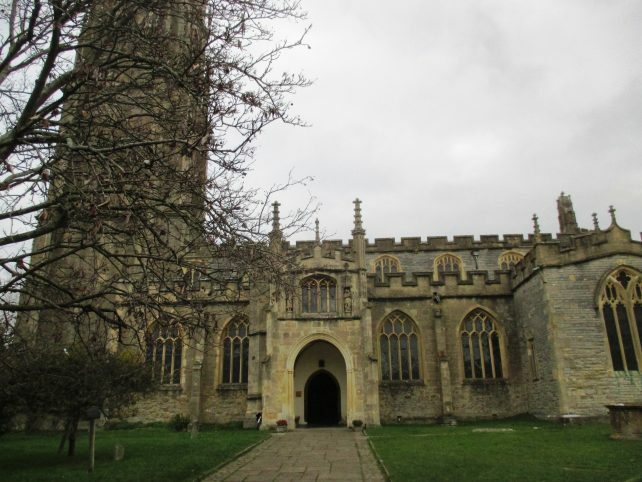 It’s around 9 miles from Croscombe and home to Glastonbury Abbey and Glastonbury Tor. When people first settled in the area is a mystery. While it isn’t possible to confirm if the earliest settlers arrived half a million years ago, (apparently it is difficult to quantify the age of the flint found) there is proof that people were certainly living in the area in the Bronze and Iron Ages. The Abbey has been a feature for many a century. Over the years, the buildings on the site have been demolished, re-built, extended, ravaged by fire and re-built again. 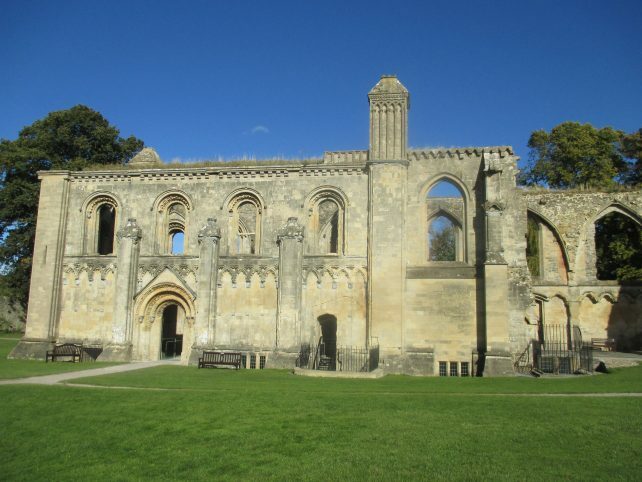 In late Saxon times the Abbey was one of the richest Benedictine houses in England. Back in 1535, the Abbey’s property was valued at over £3300 – the wealthiest in the land. Today, there are regular events in the grounds. 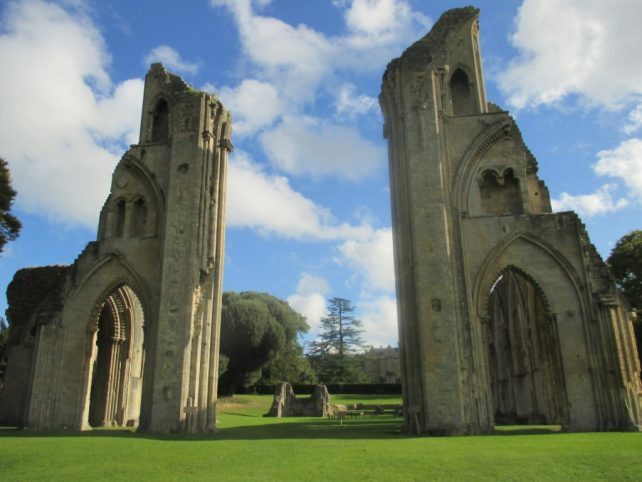 One of the most popular is the Glastonbury Abbey Extravaganza. Tickets get snapped up quickly, but if you’re quick enough to bag one, then you can listen to a great band or two playing a one-off concert. Another fantastic event is the Medieval Fayre which often takes place over the Easter weekend. What a setting for a fabulous event. 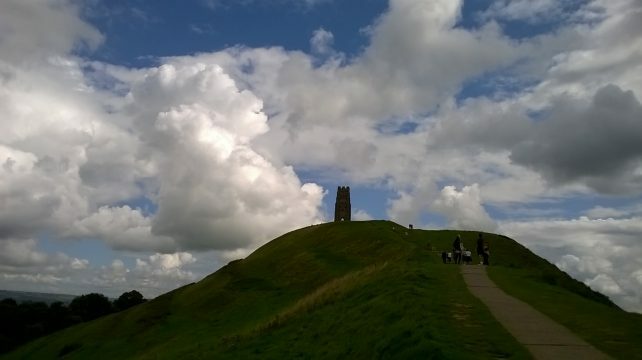 Glastonbury Tor is also surrounded by mystery and legend. The Tor is free to visit. (You can park for a couple of pounds in the car park of Draper of Glastonbury. It’s virtually opposite the main gate.) There is a path and steps leading through a field all the way to the Tor (and a handy bench halfway up should you need a breather). The views from the top are fantastic. Be sure to take a coat as the breeze up here can make it chilly. When Joseph is alleged to have arrived (in around AD63) it is also claimed that a wattle church was built in honour of the Blessed Mary. This could have been the very first church. However, Joseph’s visit (and his alleged burial in the Abbey) were not recorded in historical documents until hundreds of years later. So, separating fact from fiction is currently impossible. The lovely church of St. John sits in Glastonbury High Street today. It has a long history stretching back many centuries. Arguments also rage as to whether the body of King Arthur and his second wife, Guinevere were buried here. Stories abound of the exhumations of these bodies from a site in Glastonbury in 1191. In 1480, William of Worcester was certainly keen to find out. He arrived in Glastonbury to ask the monks for anything concerning King Arthur. He could well have been shown memorials outside the church, known as the ‘Pyramids’ which allegedly included one where King Arthur’s bones were laid. Again, cast iron proof is yet to be discovered. Glastonbury town certainly has an air of mystic about it and a great range of unusual, independent shops which also help to give it a unique feel. Regular markets are also held in Glastonbury. Catch the Country Market in the Town Hall on a Tuesday from 9am until 12.30pm. Alternatively, the Farmers’ Market is held at the Market Cross on the 4th Saturday of the month. 9am – 2pm. 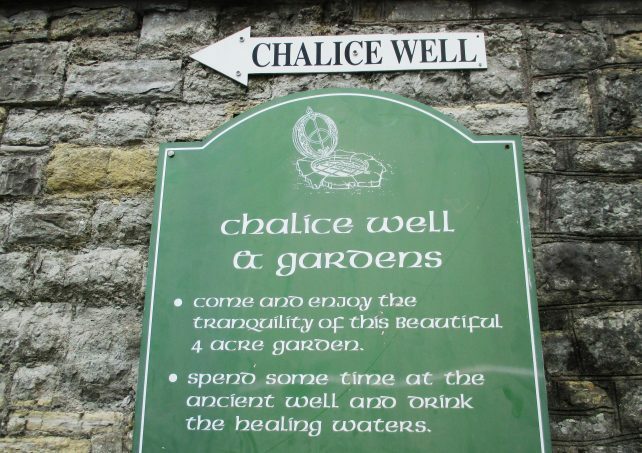 Aside from a visit to the shops, a trip to the Abbey and a walk up to the Tor (perhaps the remains of a Neolithic labyrinth), you can also visit the Chalice Well. Here, Joseph is said to have washed the vessels of the Passion after his arrival. This ancient well is said to flow at a constant rate and temperature. It has been a site for gatherings for around two thousand years. Time your visit to Glastonbury town right and you could find yourself surrounded by zombies! The annual Glastonbury Zombie Walk is open to all. Just slap on the makeup, dress in appropriate attire and walk as if you had a role in Michael Jackson’s ‘Thriller’ video. It’s all done in a good cause. In October 2018, hundreds of pounds was raised for the charity Children’s World. 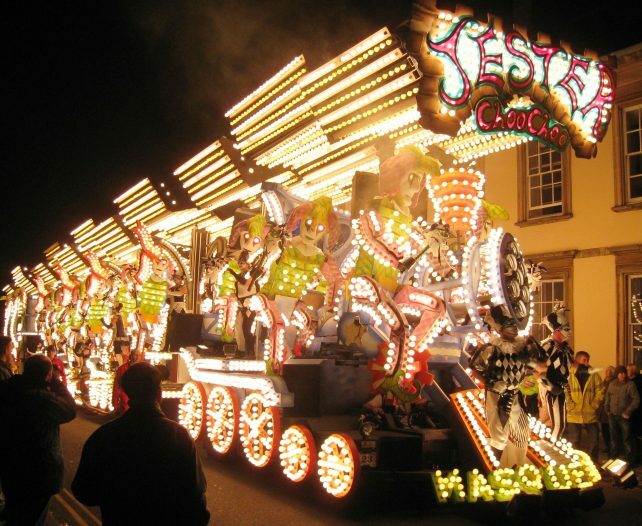 Somerset carnivals have to be seen to be believed! Let’s raise a glass to Glastonbury town. A truly remarkable place and well worth a visit.